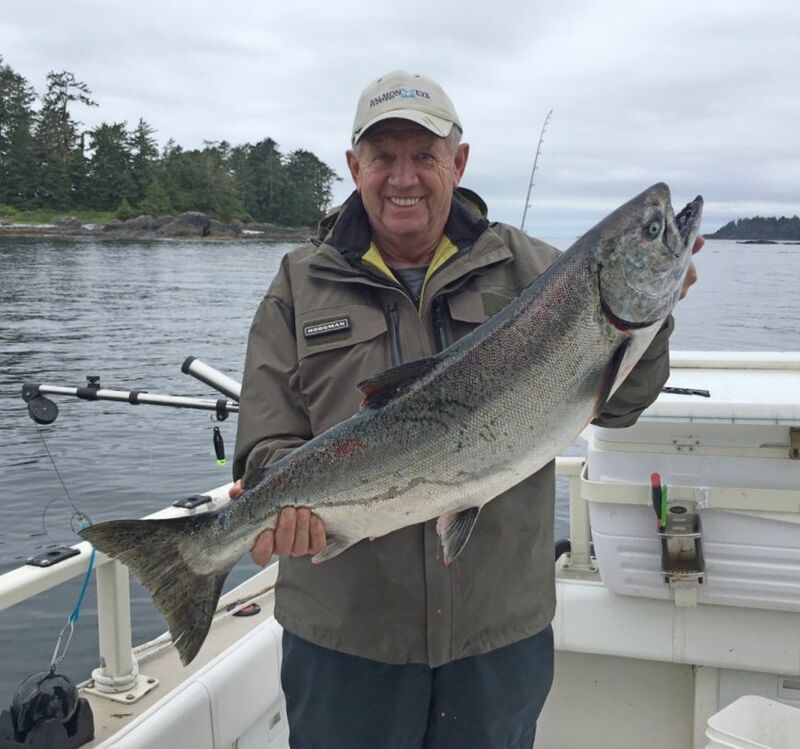 Fishing has been going along steady and we have had some good times again fishing live squid for some Chinook in the 12-25lb range. 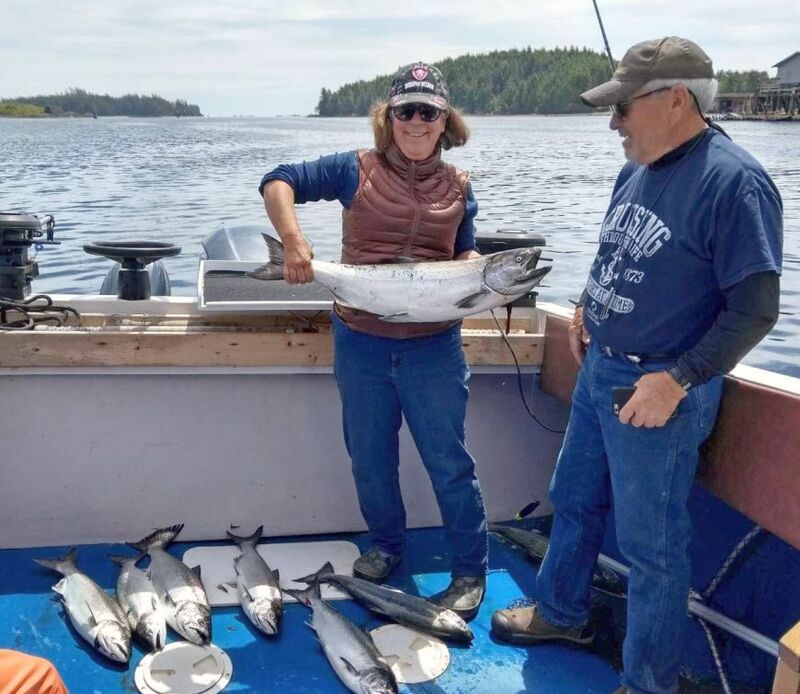 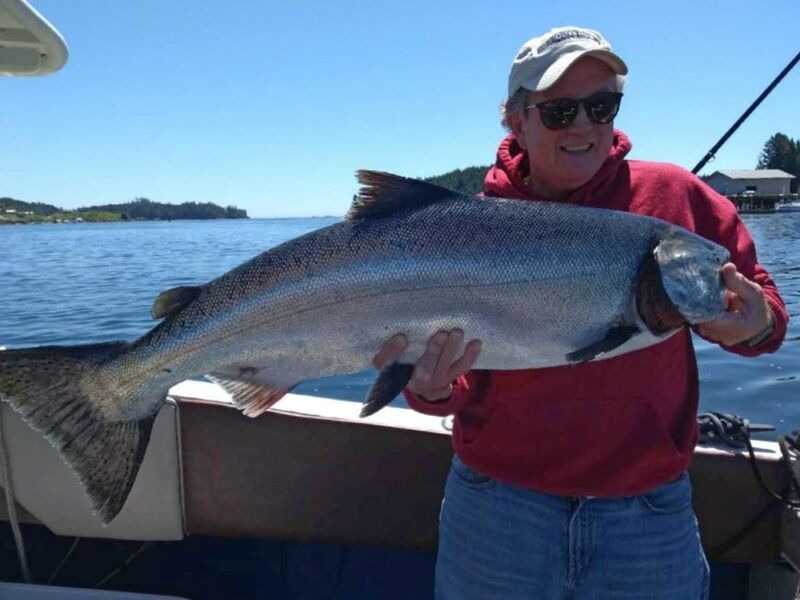 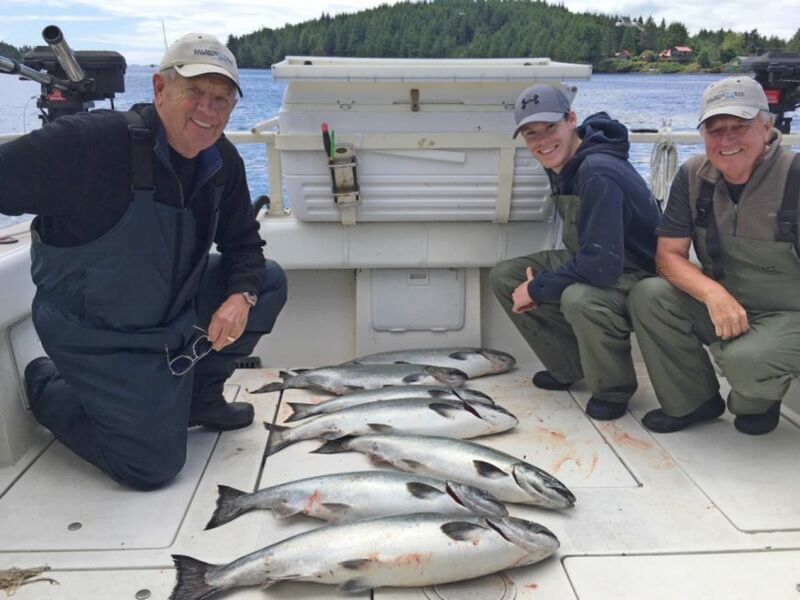 There are a few spots also catching fish on the troll including Great Bear, Chrowe Island, and South Bank. 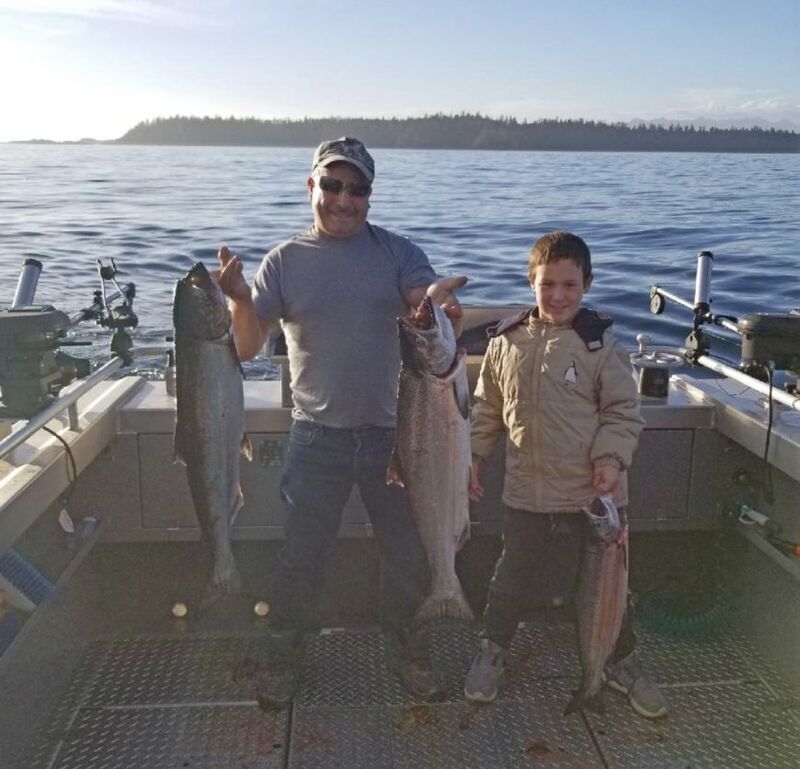 We have been getting some good bites in the afternoons as well. 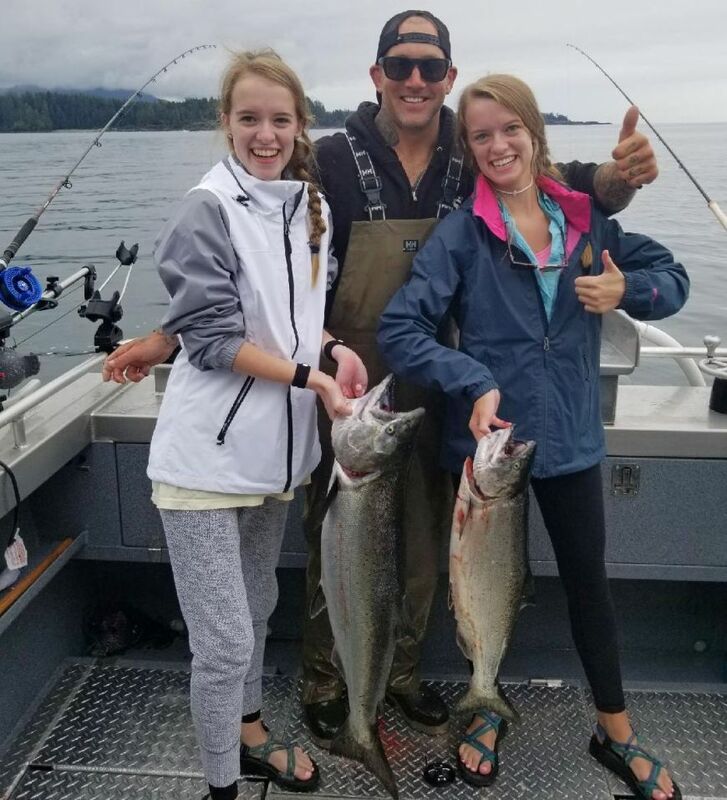 Coho are showing up in protected water which means we can keep them (adipose fins are clipped). 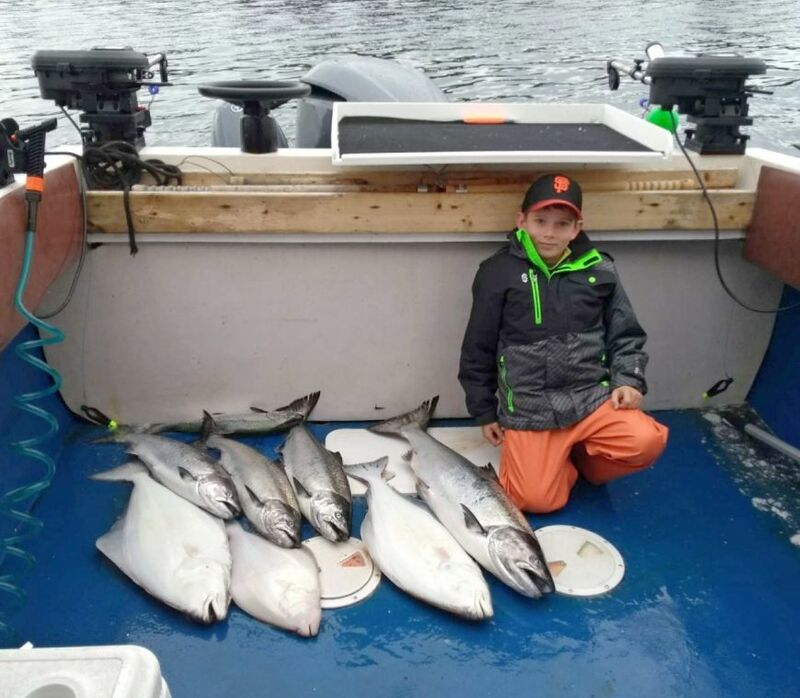 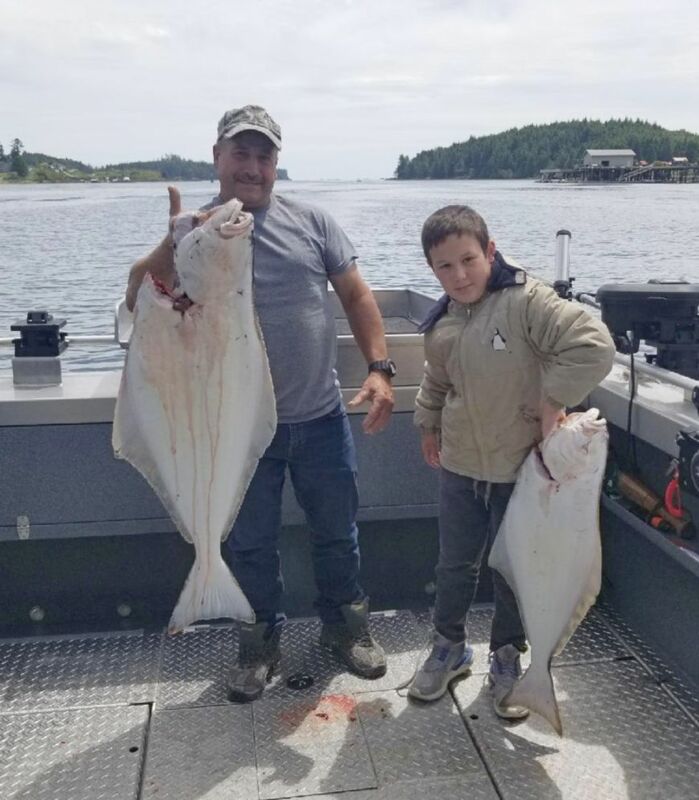 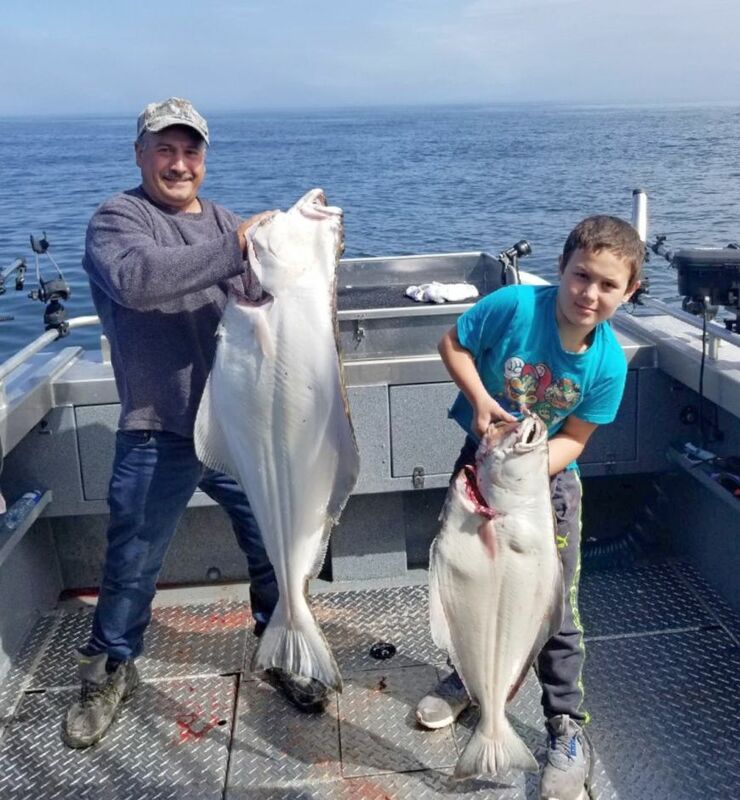 Halibut fishing has been mostly good off at Big Bank and sometimes at the Barnyard. 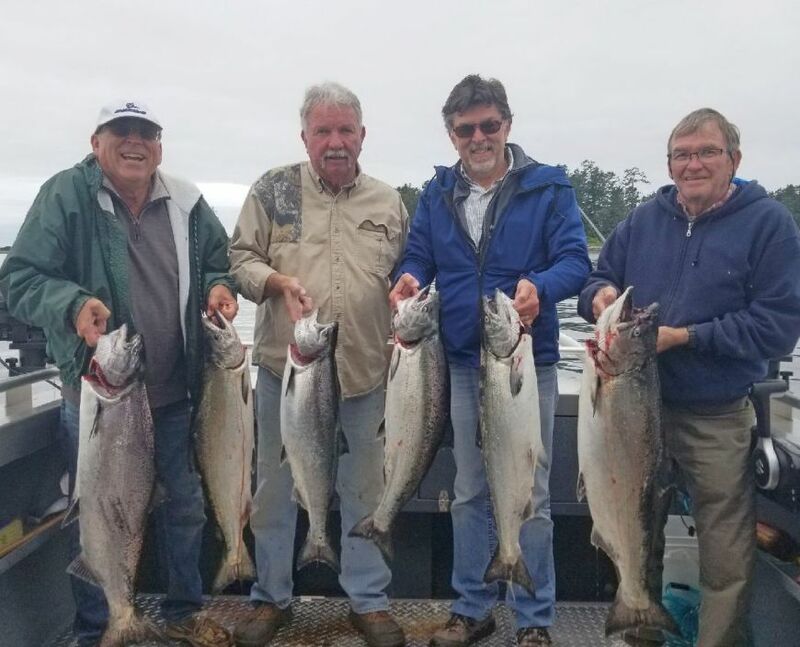 The salmon fishing hasn’t been hot and heavy at Big Bank, so most trips are separated by the day or by the area. 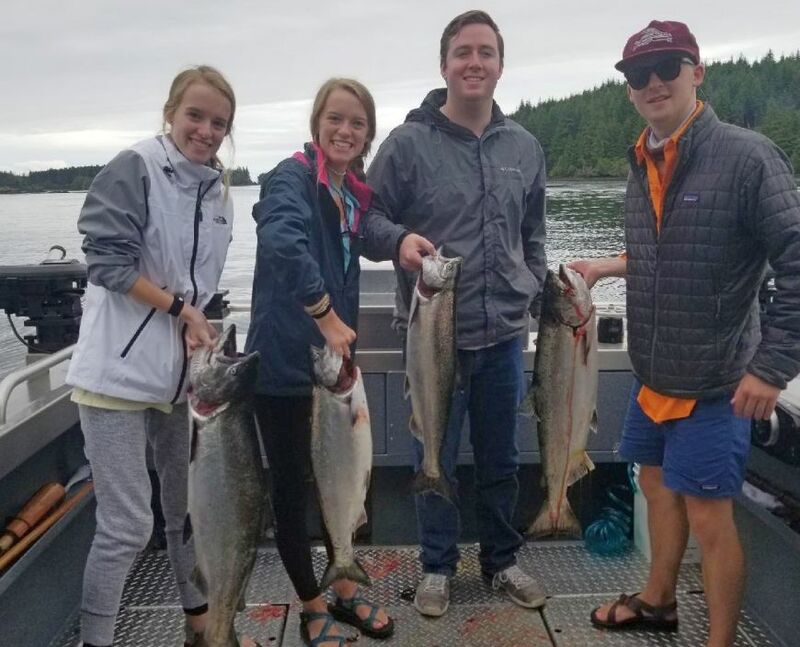 You have to get out on the water to get in to the action, so just get out here. 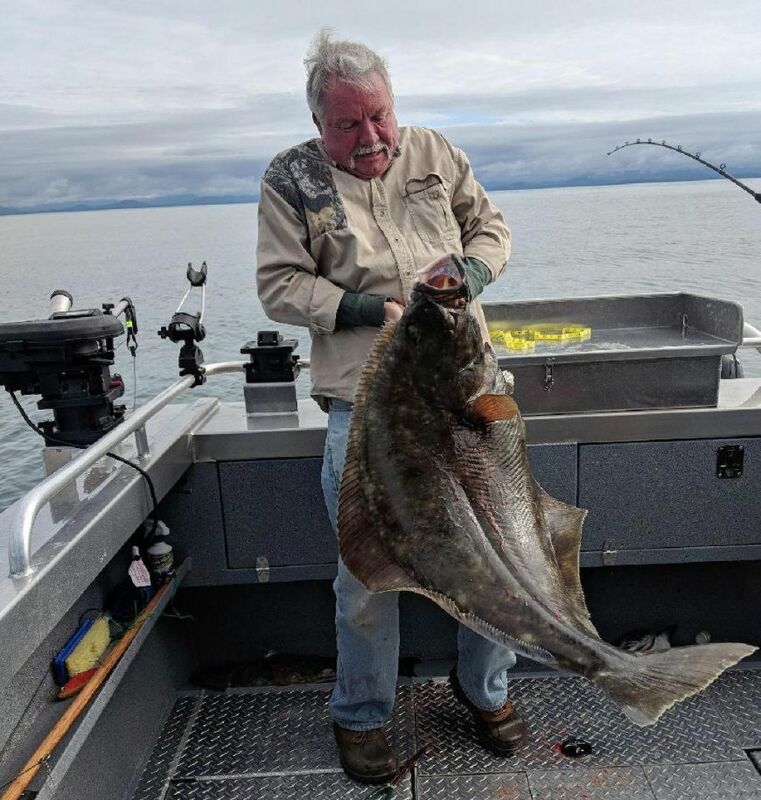 Pictures below!